If you ask me, it shouldn’t be hard to see every one of these annual Oscar-nominated Shorts each year. Oh, I know it’s getting easier every year for savvy film enthusiasts to know where to go to find them, but you sure don’t see them being promoted all that much once the nominations are announced and I’m always getting people asking, “where do I find these shorts?” Well, look no further…. If you’re set on seeing them in a theater, I can tell you where to find them in Chicago, at least. 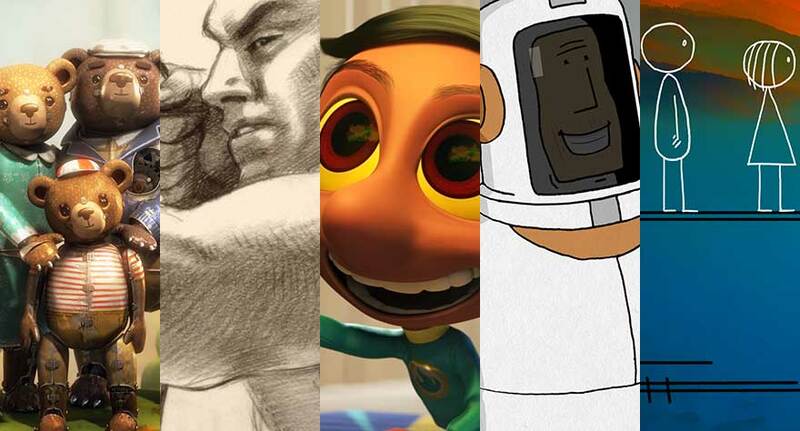 Starting January 29th, the Animated and Live-Action Shorts can be found at Landmark Century Centre Cinema. This is no surprise since these are the venues that usually show these shorts, but for those of you outside the Chicago vicinity, you can catch all three categories on February 23rd by way of iTunes, Amazon, Google Play and VOD. Although, currently streaming on Netflix is Don Hertzfeld’s “World of Tomorrow” an animated work of art that will likely earn a gold statue. Come to think of it, it’d be nice of all of these shorts would be made available on platforms such as Amazon or Netflix, but my bet is Magnolia and Shorts HD enjoy their exclusivity. 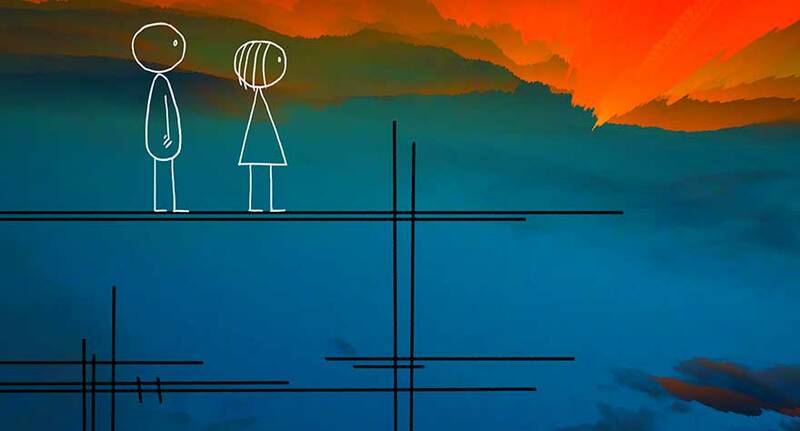 If you catch these shorts in the theater, you’ll be treated to five additional animated shorts that were not Oscar-nominated, but are nevertheless worth your time. These four, “If I Was God”, “The Short Story of A Fox and a Mouse”, “Catch It” and Bill Plympton’s “The Loneliest Stoplight” can be considered all-age entertainment, often funny and quite light-hearted. Additional animated shorts are added every year to the theatrical presentation of the nominated animated shorts and you’ll get the most for your buck. I’m always impressed with the artistry involved in these shorts and the decision to use a particular medium to tell each story. This year’s batch is as varied and impressive as ever…. This Canadian/British short is directed by 82 year-old animation veteran Richard Williams, a writer/director/illustrator who’s known for his creative title and linking sequences in movies such as “The Charge of the Light Brigade” and “The Pink Panther” movies from the 70s. He already won three Oscars, one for 1971’s “The Christmas Carol” and two for his work on “Who Framed Roger Rabbit”, so it’s cool to see him nominated again at this stage in his career. 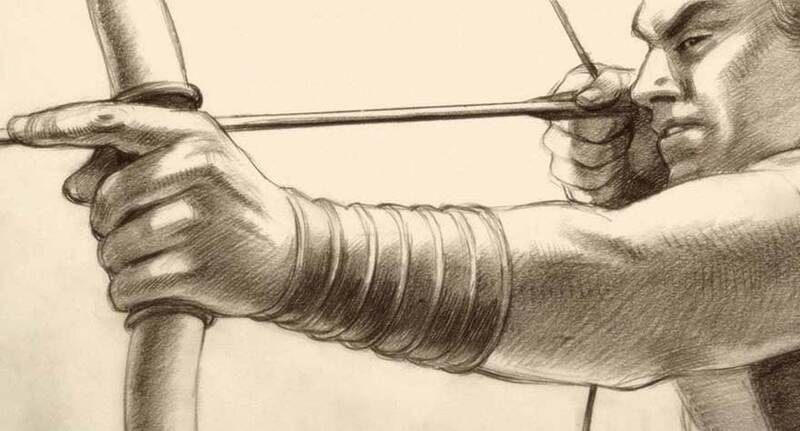 “Prologue”, produced by William’s wife, Imogen Sutton, follows an ancient battle between Spartans and Athenians as witnessed by a young girl, using pages of pencil drawings come to life. It’s very impressive and captivating exercise from a master animator and it’s also the only animated short with a parental guidance warning. 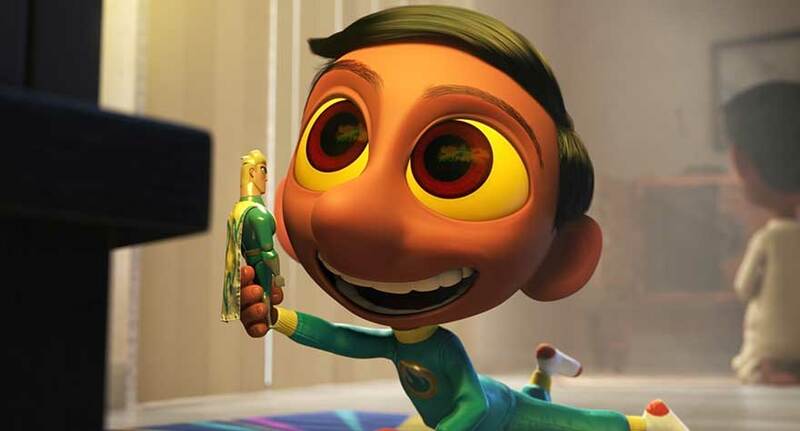 Animator Sanjay Patel has worked for Pixar for years, from “Toy Story 2” to “Monsters University”, but the adorable and sweet, “Sanjay’s Super Team” is his first animated short inspired by his own childhood and it also proceeded “The Good Dinosaur” from this past fall. It tells the story of an imaginative Hindu boy who just wants to chill in front of his favorite superhero TV show with his action figures, but his father insists Sanjay joins him for meditation and prayer. When Sanjay finally gives in he envisions Hindu gods becoming his own super team, fighting evil spirits. Wonderfully designed and offering refreshingly diverse, the short is a touching and personal labor of love. Of all the shorts, here is the one that will tug at your heart and may even bring some waterworks. It is also, in my opinion, one of the most visually impressive of the animated shorts nominated. 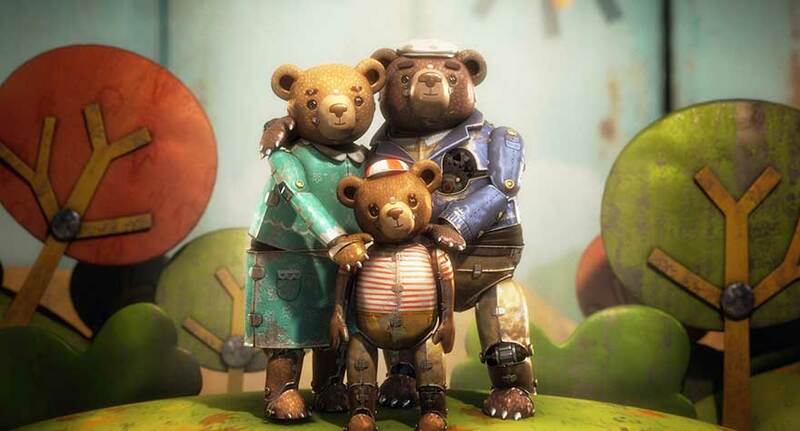 The touching story that incorporates stop-motion and 3D animation, follows a bear who has created an intricate mechanical diorama (similar to an old nickelodeon) in order to tell his own story about how he was separated from his family when he was taken away to become a circus performer. Similar to “Anomalisa”, viewers can see the inner workings of these figures, making its presentation even more fascinating. 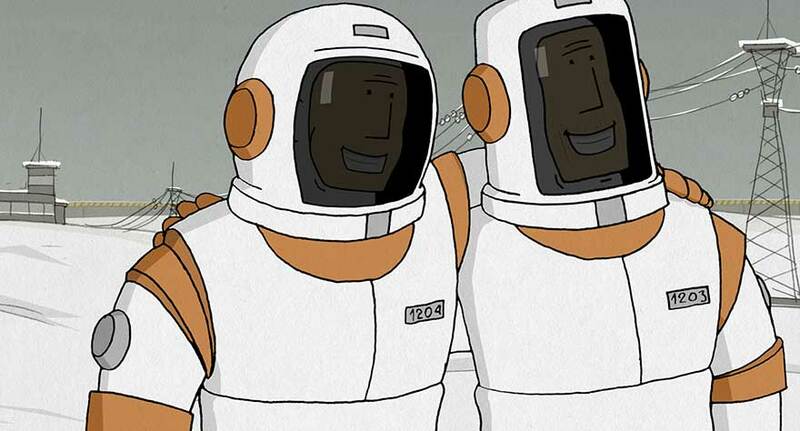 This 2D animated short from director Konstantin Bronzit is a tale of brotherly friendship between two cosmonauts training for space travel. Without any lines of dialogue and a carefree tone, the story covers the rigors of space travel and the ramifications when things don’t go quite as planned. “We Can’t Live Without Cosmos” or “ы не можем жить без космоса” in its native Russian includes great storytelling, simple-yet-detailed animation and ultimately focuses on the intimate power of friendship, especially one where dreams are shared and followed together. A little girl named Emily is contacted by her 3rd generation clone from 227 years in the future. The sci-fi tale often plays for laughs and is quite a trip. It’s also the most creative and surreal of the nominees as well as the longest. Ironically, 39 year-old Don Hertzfeldt’s short feels like a Terry Gilliam or David Lynch trip and is the most crudely illustrated of the bunch, but that’s also its charm and its commitment to its vision is something special, as it focuses on themes such as life, love, birth, and death (both in the past and the future). Of all the nominees, this is the short that critics have championed since it premiered at last year’s Sundance Film Festival and it’s clear why. It’s hard to say if the Academy would award such a visionary work, since it could go for a short that’s more of a crowd-pleaser, something that’s easier to digest. Each year, the Live-Action Shorts typically offers the most diversity of any category at the Oscars – in terms of race, genre and storytelling. It’s the category that makes me wish there the shorts were more accessible. The true test of a great short is often whether or not the right amount of time is given to tell the story being told. Too much story feels overwhelming and crowded, while not enough story leaves viewers either confused or wanting more. The best lie somewhere in between…. 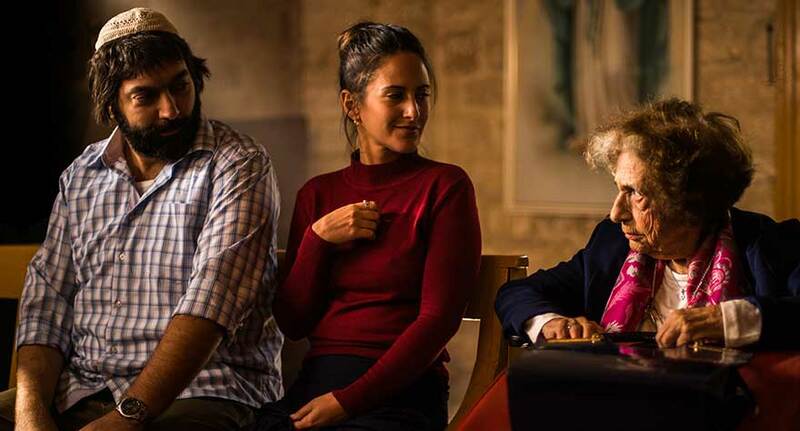 This light and comical short by British-Palestinian filmmaker Basil Khalil finds a family of three Isreali settlers driving into a remote monastery located in the West Bank – literally, smashing into a statue of the Virgin Mary – disrupting the a group of nuns dinner and vow of silence. One nun, in particular, Maria, winds up being unpredictably handy, enabling this man, his wife and nagging mother, the ability to make it home in time for Shabbat. While the characters come across as stereotypical, it’s nevertheless a funny and charming look at how two totally different cultures collide and unintentionally find common ground. 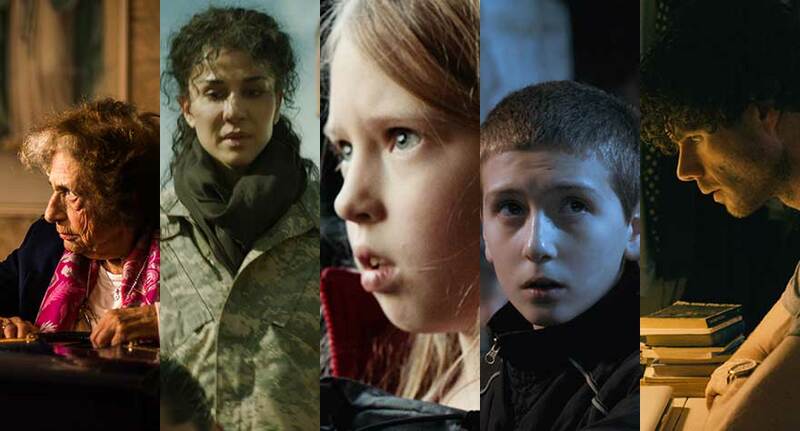 Patrick Vollrath’s short is the most tension-filled of the nominees and it may be my favorite. 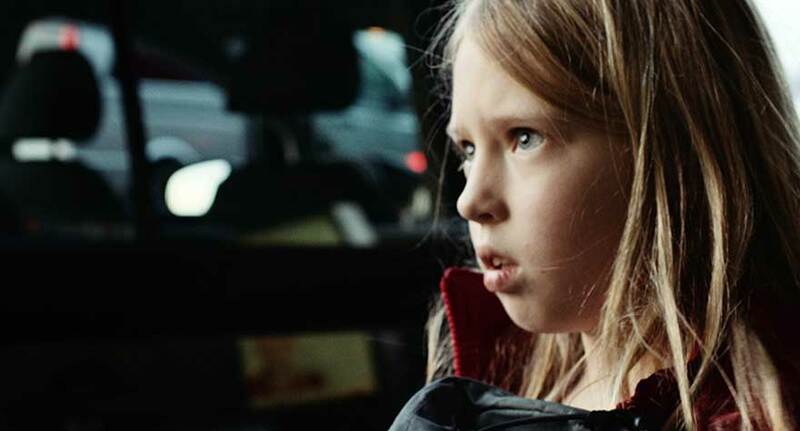 A divorced father (Simon Schwarz) picks up his 8 year-old daughter, Lea (Julia Pointner, amazing in her acting debut), for what seems like a typical weekend routine, but it becomes clear that something isn’t right and what unfolds is a life-changing event for both father and daughter. The building tension in this short in what is essentially a domestic drama is excellently done, showing a crucial point in a father’s emotional and desperate attempt to take matters into his own hands. While the big reveal will be obvious to viewers, the two lead performances are simply riveting. I’ll be very interested to see what Patrick Vollrath does next. 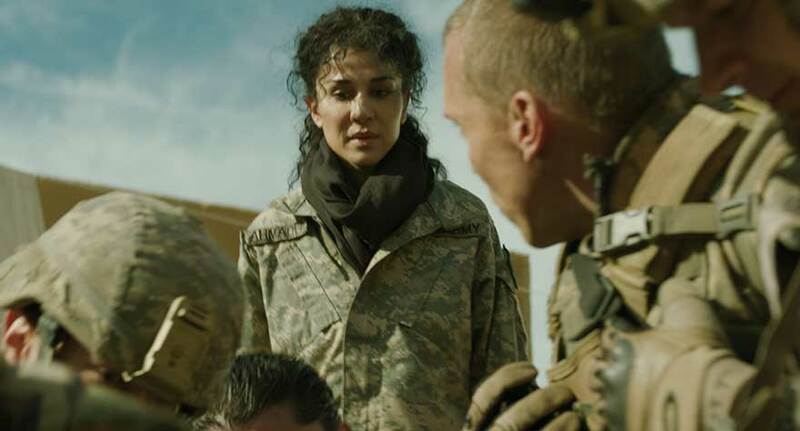 A woman who is on her first day of working as an interpreter for the United States Army is forced to deliver a baby for the wife of an enemy bomb maker – now there’s an intriguing pitch for a short. There’s obviously a double meaning to Henry Hughes’ emotionally impacting short, which is based on a true story and the director (a former paratrooper for the 173rd Airborne Brigade Combat Team of the United States Army) does a fine job creating an authentic environment with consideration for the region’s customs. As Feda, the interpreter, Layla Alizada delivers a tremendous performance as someone who is faced with an overwhelmingly intense job. Another short based on true events, Jamie Donoghue’s short opens and closes in present-day, as an Albanian man looks back on a specific time in his childhood after he encounters a beaten up old bicycle in the road. We then see him as a boy, Petrit (Lum Veseli) and his best friend, Oki (Andi Bajgora), living in Serbia during the Kosovo War. Their loyal friendship is put to the test due to Petrit’s dealings with local soldiers. The two performances from the boys make the short work, offering chemistry and confidence to their work. Out of all the shorts, this one has the most shocking and sudden ending. 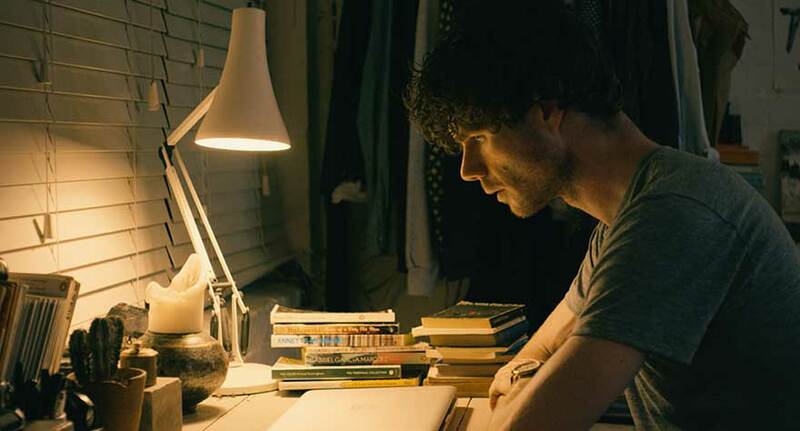 The title character in writer/director Benjamin Cleary’s short is Greenwood (Matthew Needham), a single typographer in London, who’s debilitating stutter has left him isolated from others, save for his father, whom he visits. His condition is so bad, he’s taken it upon himself to learn sign language to communicate. When Ellie (Chloe Pirrie, “Youth”), a woman he has communicated with via Facebook for the past 6 months asks to finally meet in person, Greenwood understandably panics. Given the timeframe, Cleary wisely chooses to provide a voice to Greenwood’s thoughts, whether they be “snap judgements” of those around him or the cluttered heightened thoughts that surface at the same time. It’s a well-acted, clever and intuitive take on a crippling condition that ultimately has a great message to it about taking a chance and facing your fears. 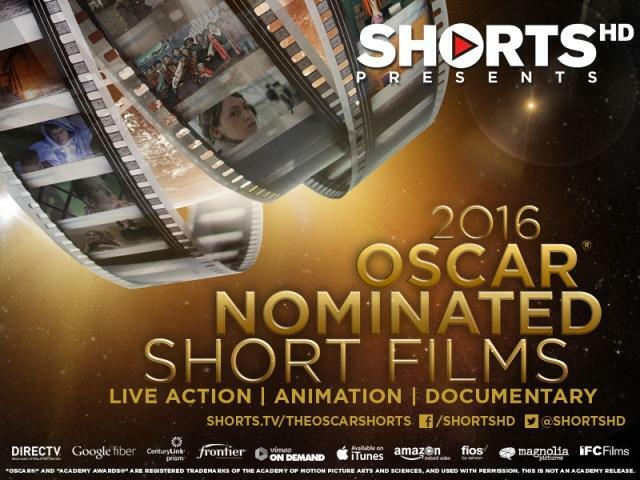 For more information on the Short Film Programs and where they will be screened, please visit the Oscar shorts site.